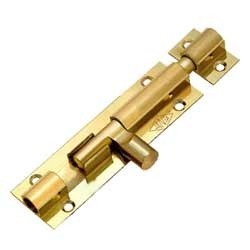 Shree Ambica Steel the most promising manufacturer and supplier entity of best in class Door Fittings Accessories was founded in 2009 with a single fact to uphold highest levels of client satisfaction. Dedicated to supporting our clients with superior quality of products, we are engaged in developing highly demanded Stainless Steel Door Aldrops, Casting Door Aldrops, and Aluminium Door Aldrops. We emphasize on quality over quantity, and have managed to gain huge repute by crafting door fittings made up of high grade steel and alloys. Apart from this, due to the precision engineering, accurate dimensions, corrosion resistant features of our offered door hardware, we have become the preferred brand for a large number of clients across the country. At the core of our success is the foundation of an underlying principle of building strong relationship with our clients. This fundamental guiding aspect helps us to better communicate, engage and cultivate most innovative product range that will satisfy our end users to the core. To achieve this efficiency we follow insightful business operations by leveraging technological advancements and solicitation of ongoing market trends. We believe our profitable growth would not have been possible without our state of art manufacturing base and the group of most dedicated people who settle for nothing else but supremacy.